The logo must always be on the top left of a composition. The second choice will be to place it at the lower right corner. 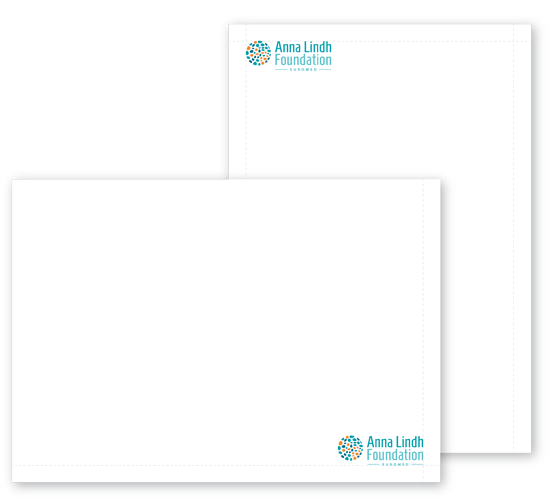 The Anna Lindh Foundation logo must be placed on the top left whereas the project logo must be placed in the upper right corner. Partners logos will be positioned on the bottom corners. The Anna Lindh Foundation logo is often used with National Network logos. 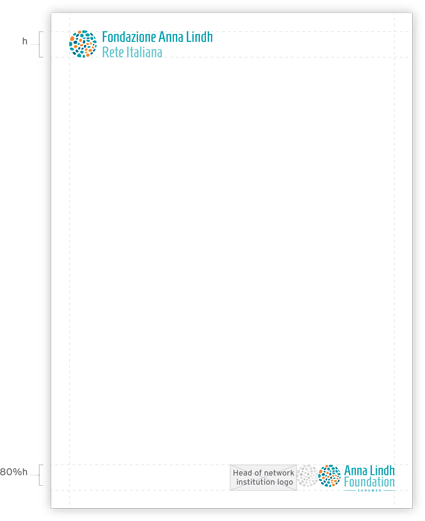 The recommended option is to place the network logo on the top left of the layout, the Anna Lindh Foundation logo will be place in the bottom right. The Head of Network institution logo should be in the bottom right corner and should not exceed in importance the top two logos. If both, the ALF logo and the Network logo are of the same importance they should sit on the same line by scaling equally each of their symbols. 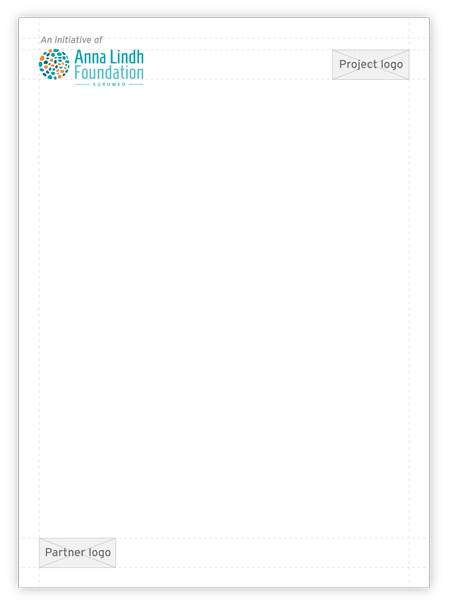 When using the logo with other logos allow for at least the minimum clear space all around it. The preferred space is equal to the symbol size of the ALF logo.